Contact a San Jose, CA gas line, gas leak and detection expert today at Genmor Plumbing, Inc. by calling (408) 933-9874, for qualified gas line and plumbing services. Take advantage of our online coupons and specials by clicking here. Our Genmor Plumbing, Inc. professionals are certified experts in gas line installation and repair. Gas leaks are not all that common an occurrence for homeowners to experience. However, if you do have a gas leak in your home, it can be very dangerous. Click here to find out what other San Jose, CA homeowners have to say about their experience with Genmor Plumbing, Inc. and their experienced professionals. Residential gas line leakages are rare. However, when they occur, they pose a considerable danger to you and your family. Gas line leaks can occur both inside and outside of the home and both are very dangerous. A natural gas line leak can cause an explosion and undetected, can cause illness in those exposed. Construction involving digging, done inside or outside the San Jose home, can be a potential hazard if a gas line is hit. Prior to any work involving digging in or around the home, the local utility and gas company should be contacted to clearly identify and mark gas lines. 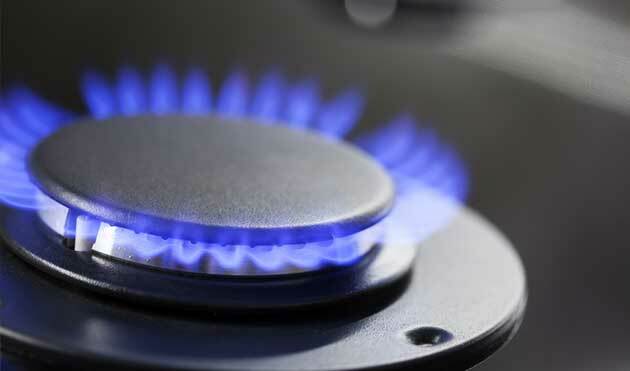 Natural gas has a particular smell to it that can warn you if there is a leak occurring in or around your home. This smell has been added to natural gas specifically for the purpose of warning us of a leak. If you are alerted to a gas leak by the smell of natural gas, you need to shut off the gas valves in your home if you know where they are and can do so safely. As soon as possible, you need to get everyone safely out of the home and call 911 from a safe distance. Don’t use your cell phone while you are still in the home to make the emergency call. You must ensure that no one smokes or uses any open flame anywhere there is a potential gas leak as this can cause an explosion. Also, do not turn any electrical appliances on or off in the home prior to leaving. Gas leaks can usually be avoided by ensuring proper installation by a licensed professional and by having annual or regular gas line inspections. Genmor Plumbing, Inc. has expert licensed gas line repair and installation professionals on call to respond to your gas line emergency at all times. Our Genmor Plumbing, Inc. gas line detection experts will find the source of the leak quickly and get you back in your home as soon as possible. If you suspect a natural gas line leak in your home, get to safety, call 911 and call us at (408) 933-9874. Our licensed gas line repair professionals will respond urgently to detect the source of the gas line leak and repair it promptly. Genmor Plumbing always offers free estimates and your guaranteed satisfaction.